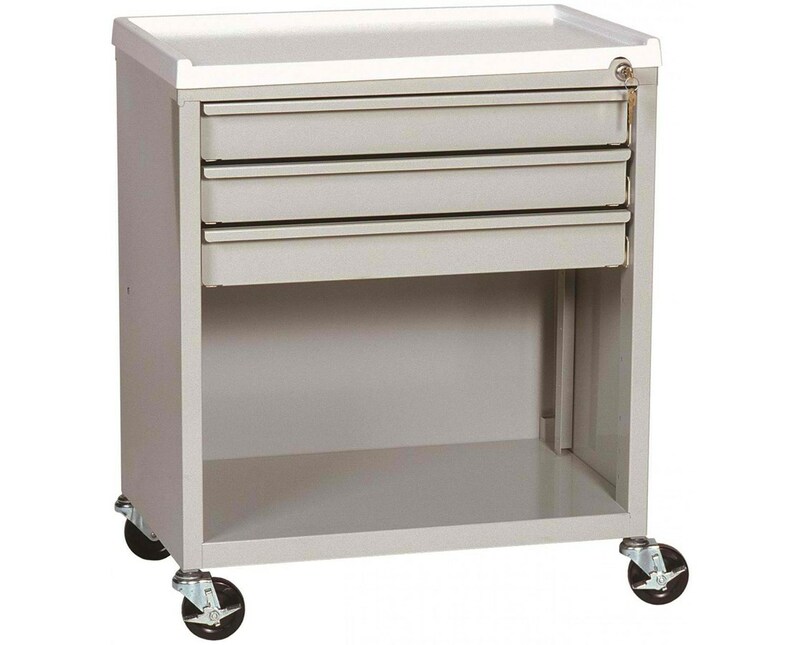 Harloff's ETC Line Three Drawer Treatment Cart with Lower Compartment is designed to fit under a counter or sit at bedside for convenient, low-profile storage and use. The sturdy, uni-body steel construction makes the cart tough and reliable, and the 16 available colors come in a hard-baked powder coat finish that looks good and will last for years to come. 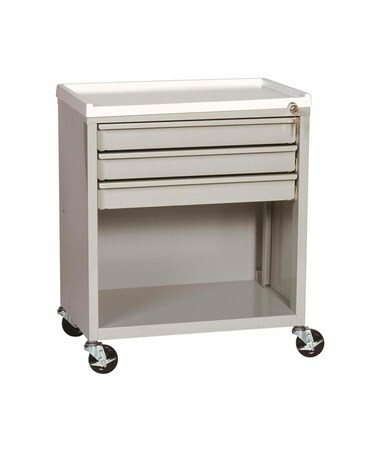 The cart features three 2.75" drawers that operate on roller slides and have integrated handles. Below them is a 12" storage compartment, perfect for larger supplies. A key lock with two keys keeps the cart secure. Number and Size of Drawers (3) 2.75"